Achievements will now show the "Royal Prem Requirement" in the description on the Achievement Boards in game. Hope that will make things more clear. Client side is showing 139 AP atm. But correct AP is 143. We might increase it to 145 with next patch - need some testing. 3. 1h Spears got more elemental dmg to make duals work better in pk. 4. Spear of Murky got Club, Spear, Axe def now. 5. 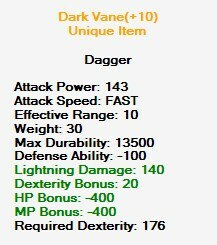 2h Chaos Spear got a very small nerf. We did some tests and found that it hit slightly more dmg than Yellow/Green TSword. Its more balanced now. This zone is primarily for new players and not for farming vouchers! We hope you support those changes!